Battling cancer is one of life’s most difficult challenges – but with Orange County CyberKnife, you never have to face it alone. Our world-class radiation therapy & cancer treatment center features some of the most experienced professionals in the cancer industry, and we proudly provide state-of-the-art cancer treatments for virtually any form of cancer. If you or someone you love has been diagnosed with spinal cancer, we are committed to helping you beat it. 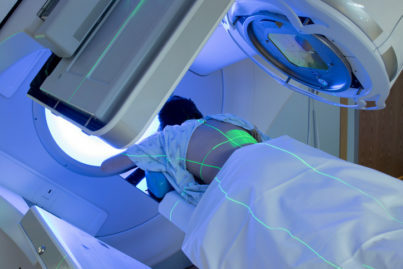 Effectively treating spinal cancer requires an accurate, prompt diagnosis – and thankfully, the treatment team at OC CyberKnife uses a range of state-of-the-art medical imaging tests, scanning equipment, and other procedures to evaluate spinal tumors accurately and precisely. At our cancer center, we are committed to providing the best possible cancer care available – and that means we prioritize speed, accuracy, and patient comfort through every part of the process. We strive to begin the screening and diagnostic process within two days of your arrival at our facility, and we work to minimize the wait times for appointments and test results so you can start treatment as quickly as possible. Our goal is a turnaround time of four hours between a diagnostic scan and the finished results of the study, giving you peace of mind and ensuring you don’t have to deal with the anxiety of not knowing your test results. In addition to speed, we work hard to keep you comfortable throughout your time in treatment. Our equipment features soft padding and ergonomic designs to keep you in a comfortable position no matter the procedure, helping you stay as relaxed and comfortable as possible during both diagnosis and treatment. As a state-of-the-art cancer center, we offer a variety of treatments for spinal tumors. You and your doctor will work together to decide the best treatment course for your specific situation. The most common treatment for these tumors is surgical removal. Generally, we aim to remove the entirety of the tumor during the surgery while still preserving full neurological function. The spinal cord and the nerve cells within it are extremely sensitive and perform some of the most essential, vital functions in the body, so one of the chief goals of any spinal tumor surgery is to avoid damage to these structures and maintain normal neurological function. 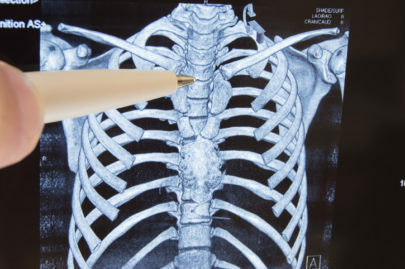 Our doctors and surgeons use advanced monitoring techniques to assess the function of the spinal cord in real time as they remove the tumor. If surgical removal of the tumor is impossible without damaging the spinal cord, we may opt to use radiation therapy or chemotherapy after your surgery to further diminish the tumor. Even for patients who experience neurological damage, rehabilitation is often highly effective in restoring this lost function. Spinal tumors are some of the most difficult to treat effectively, but with the world-class team at OC CyberKnife, your cancer care is in excellent hands. Feel free to call us at 714.962.7100 if you have more questions about spinal tumors or how we treat them, and if you’re ready to start on the road to recovery, just reach out to us at our contact page to schedule a consultation or second opinion. We look forward to hearing from you, and we’re excited to help you beat cancer and reclaim a healthy, normal lifestyle.